Dr. Roberto Hernandez-Alejandro was the former Director of Liver Transplantation at Western University, Canada and an Associate Professor of Surgery and Oncology. Dr. Hernandez-Alejandro completed an abdominal transplant and hepato-pancreato-biliary (HPB) surgery fellowship from 2006-2008 at Western University, Canada. Subsequently, he received further training in live donor liver transplantation at the Kyoto University in Japan. 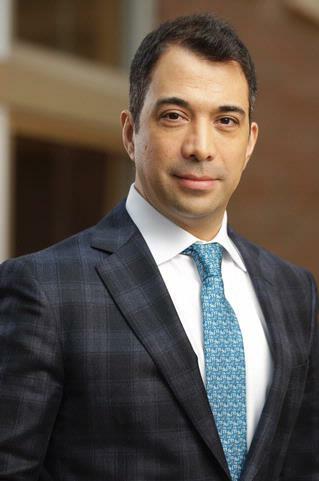 Over the past 8 years, Dr. Hernandez-Alejandro's reputation for leadership and collaboration has helped to build one of the largest Transplant and Hepatobiliary Programs in Canada and is recognized in the broader surgical community nationally and internationally. He is a pioneer in liver resections for malignancy as well as Donation After Cardiac Death (DCD) Liver Transplantation. His research endeavors are primarily focused on liver regeneration and donation after cardiac death. Dr. Hernandez-Alejandro has developed several protocols, as the principal investigator, in liver metastasis designed to improve the outcome in DCD's. A pioneer in North America with the ALPPS procedure in the management of liver metastases, Dr. Hernandez-Alejandro is frequently invited by national and international academic centers to give guest lectures on the topic. He has more than 50 peer reviewed publications in the area of HPB and liver transplant. "The meaning of confounding adjustment in the presence of multiple versions of treatment: an application to organ transplantation." European journal of epidemiology.. 2019 Jan 23; Epub 2019 Jan 23. Lang H, de Santibañes E, Schlitt HJ, Malagó M, van Gulik T, Machado MA, Jovine E, Heinrich S, Ettorre GM, Chan A, Hernandez-Alejandro R, Robles Campos R, Sandström P, Linecker M, Clavien PA. "10th Anniversary of ALPPS-Lessons Learned and quo Vadis." Annals of surgery.. 2019 Jan 0; 269(1):114-119. Linecker M, Kuemmerli C, Kambakamba P, Schlegel A, Muiesan P, Capobianco I, Nadalin S, Torres OJ, Mehrabi A, Stavrou GA, Oldhafer KJ, Lurje G, Balci D, Lang H, Robles-Campos R, Hernandez-Alejandro R, Malago M, De Santibanes E, Clavien PA, Petrowsky H. "Performance validation of the ALPPS risk model." HPB : the official journal of the International Hepato Pancreato Biliary Association.. 2018 Nov 23; Epub 2018 Nov 23.